We have been working so hard on our debut album and it is so fulfilling to hear some of the final tracks coming our way. Some folks thought we were crazy to record the entire thing in one weekend, and even more thought we were crazy for going so far away to do it! 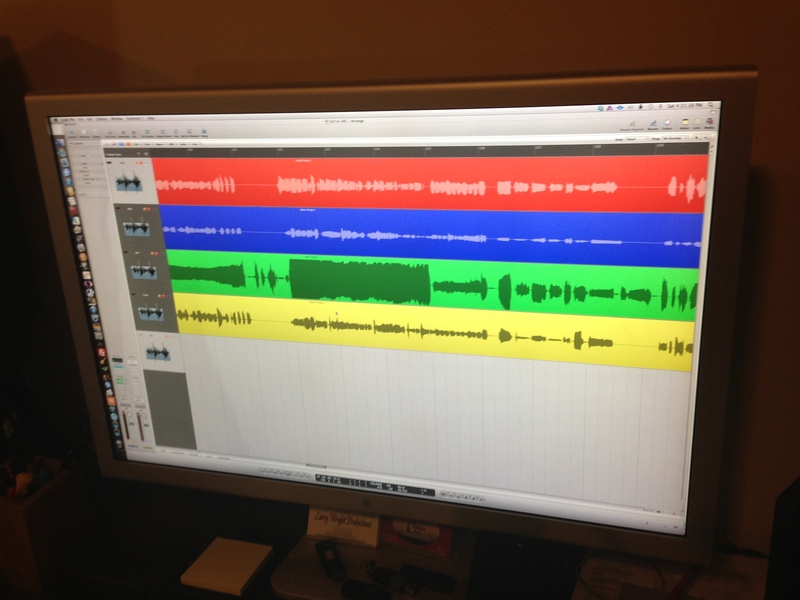 But we felt strongly about doing our album in the Wright studio, which is completely optimized for barbershop harmony. We are certain that the CDs you hear coming out of that studio are going to be some of the best on the market! We know that TNS was recording right around the same time we were (can’t wait for that one! ), and we’re super proud of what we’re hearing so far from ours! Now the fun part… paying for it! We have a big budget for this project. We are committed to giving our friends, fans and fellow barbershoppers the absolute best product we can. This means editing that doesn’t sterilize our Epic sound, professional mastering of the album, Epic-approved packaging and, best of all…. LOTS of songs! We have come to understand that it’s expensive to have more than 10 or so songs on a CD. Those editing, mixing and licensing fees add up when they’re charged per song! We recorded a whopping 14 songs when we were in the studio and we really, really don’t want to cut any of them. To be able to include all 14 on the final album, we’re going to have to work hard on our fundraising efforts. We’ll launch our Kickstarter project in the coming weeks for individual pre-orders and support, but we have a special offer for choruses. If you’ve ever thought of having Epic on your annual show, please take a peek at the PDF announcing our package incentives. We think it’s a fantastic deal for your chapter, and it would help Epic deliver the absolute best CD we can to the marketplace. 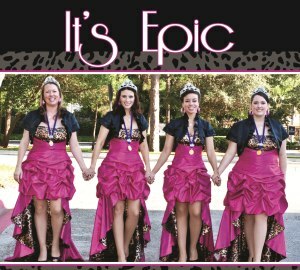 By scheduling Epic right now for your next show, you could have the quartet just for the cost of expenses (and for Harmony, Inc. chapters, this could be offset with the Queens Travel Fund!). Check out the flyer to learn more! If you’re willing to have a conversation as a show team or a board–just a conversation to consider taking us up on our offer–we will send you a SUPER SECRET sneak peek of our favorite song on the album! It’s a custom arrangement exclusive to Epic and it will be a part of our swan package this fall at International! Email epic4harmony@gmail.com and we’ll send you the MP3 to preview with your show committee and a sample contract outlining our incentive options. The deadline for this offer is August 15th (with contracts signed by Sept. 1st) so please talk amongst yourselves and let us know if we can answer any questions! Thank you sooooo much for your time and consideration.